It's that special time of year where it's all about Mom. There's no chance that mom wants to do the whole cooking and cleaning thing on her special day. If you're looking for a spot off the beaten path, we've got some unique Miami options for you! Ball & Chain will be offering a special live music Mother’s Day brunch buffet in their outdoor garden featuring an omelet station, guava French toast, burrata toast, shrimp ceviche, assorted fresh fruits, authentic Cuban pastries, truffle mac-n-cheese, pork & bacon croquettes, seasonal roasted vegetables, salads and fried yuca. A curated dessert bar featuring ice cream, churros and flan. The drink menu will feature Cuban coffee, bottomless mimosas and various craft cocktails. Guests can choose between two seating times: 11am and 1pm. Price per person is $42 (plus gratuity), children under 2 are free and under 10 years of age is priced at $24. Live music by Kemuel Roig Latin Jazz Band and entertainment by our Ball & Chain salsa dancers. To make reservations guests can contact specialevents@ballandchainmiami.com. Join us on May 13th to honor mothers and mother figures alike with a Sunday Asado buffet brunch at Los Fuegos followed by a complimentary guided meditation by Tierra Santa Spa Director Agustina Caminos. While the asador (chef) prepares the multi-course feast over a wood-fired grill, you’ll give Mom the greatest gift of all—a chance for both young and old to have an unhurried afternoon of quality time together. To complete a celebration of ultimate relaxation, all mothers will receive a $25 gift certificate towards any Tierra Santa Healing House Yoga class. Buffet brunch priced at $115 for adults and $45 children (ages 5 – 12). Bottomless Bellinis or Mimosas included in adult price. Service charge and tax not included. For reservations, visit http://www.opentable.com/veranda-faena-hotel-miami-beach or call +1 786 655 5600 to book. The one-hour meditation from 3-4 pm will focus on giving thanks to our greatest mother, Mother Earth, and the women who have care, loved and cherished us throughout our lives. This intimate experience can be shared with a family member, friend or by one’s self. Open to the Public. Space is limited and pre-registration encouraged. For registration & more information, email spamiami@faena.com or call +1 786 655 5570. Macchialina invites guests on a culinary adventure this Mother’s Day to celebrate Mamma with an exclusive Chef’s five-course tasting menu hand-crafted by Chef Mike Pirolo at $75 per person plus tax and gratuity. To start, diners will feast on house favorites such as the Burrata Crostino, Broccolini al Cesare, and Creamy Polenta with sausage ragu. Enjoy a pasta course of either the Cavatelli Macchialina with baby meatballs, porchetta, and pecorino; Agnolotti dal Plin filled with roast duck leg, vin cotto and baby spinach; or the Taglione al Funghi with Abalone mushrooms and parmigiano. Main courses will feature Chef Mike’s Mother’s Day special, Slow Braised Veal Ossobuco with baby carrots, creamy polenta and gremolata. Offered only a few times a year, the cross-cut veal shanks braised with vegetables, white wine and broth are sure to dazzle Mom. A wine pairing will also be available Ending on a sweet note, Chef will reveal the dolce of the evening the night-of. Mother’s Day dinner will be served from 6PM to 11PM. Reservations can be made on Opentable by calling (305) 534-2124 or emailing info@macchialina.com. Yoga & brunch with mom! 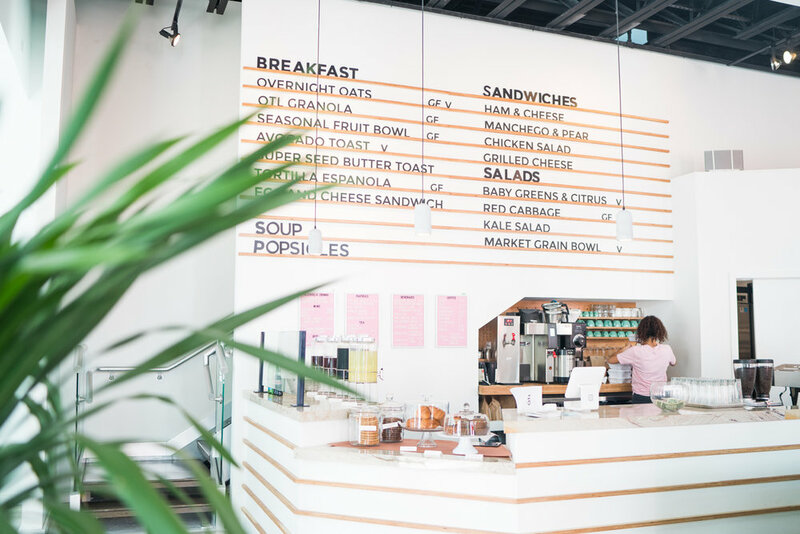 OTL, the Design District’s favorite community hangout is activating its upstairs space just in time for Mother's Day. Relax, recharge and channel your inner zen by starting with a morning class from Ahana yoga from 1 p.m. - 2 p.m. – perfect for moms who want to unwind. Following yoga, head downstairs to the café area where guests will be greeted with a complimentary glass of Prosecco to accompany OTL’s delectable brunch menu! For those looking to make the most of the vibrant destination, treat mom to a day of shopping around the Design District. Guests can RSVP at info@otlmia.com. $20 to attend. With recently adding new brunch menu items to their prix fixe menu, Bulla Gastrobar is giving Mothers the best brunch experience and treating each mom to one glass of Mas Fi Cava. Moms and their families can also enjoy bottomless mimosas or sangrias for $18 while indulging into delicious new items like S’mores Churros and Chicken & Waffles. Guests can also check out @BullaGastrobar on social media for a chance to win a $50 gift card. Celebrate your mom in a big way this year with a Mother’s Day Dinner at Azabu Miami Beach. At this Michelin-starred concept, experts will take over your taste buds with authentic Japanese fare. The $55 four-course special dinner menu will include Cold Edamame Soup; a choice of appetizers including Oysters, Salmon Tataki or House Salad; a choice of entrees including Lamb Chops, Grilled Suzuki/Branzino, Sakura Pork Shiokoji, or Half Lobster; and either Masa’s Chocolate Cake or Raspberry and Champagne Granite for dessert. Don’t forget to indulge in Azabu’s extensive selection of sakes and Japanese whiskies...your mom deserves it. Mondrian South Beach’s extravagant bayside brunch ($65 per person) is all about the moms this Mother’s Day. Enjoy an all-you-can-eat feast featuring a fresh baked array of pastries and desserts, specialties like BBQ Pulled Pork Eggs Benedict, Vegan Fresh Toast and S’mores Waffles, expansive charcuterie board offerings, assorted hand-rolled sushi, a caviar station with Florida Sturgeon Caviar and New Zealand Lamb Rack carving station, along with fresh seasonal fruits, yogurt parfaits, and salads. Best of all? Mothers enjoy complimentary bottomless mimosas made with Nicolas Feuillatte Palmes D’or Champagne. $55 for two – Is mom not an early riser? Root & Bone’s “Supper Sundays” dinner special offers the perfect alternative. $55 provides two guests with a full meal inclusive of one small plate or salad, two bigger plates, two half birds or one whole bird, and two cocktails or one dessert. The special, available every Sunday, is particularly great for those who want to cherish a good, home-cooked, Southern meal. Tucked away in heart of Downtown Miami, take the culinary authentic Mediterranean journey this Mother’s Day with Meraki Greek Bistro’s prix-fixe menu for $45 per person! Rounding out the ultimate Hellenic tasting experience this season, the three-course menu starts with a chicken avgolemono soup, avocado dip with goat cheese and pita bread, almond mandarin salad or Meraki’s arugula salad. Guests can pick from the following authentic Hellenic entrée options: pan seared scallops, gorgonzola chicken or Branzino filet. Finish the meal with an Oreo mousse profiterole and a complimentary glass of wine or champagne. OPA! Zuma Miami’s famed brunch offers Mother’s Day dining with a sophisticated twist. Upon arrival, Moms and their guests are greeted with a brunch cocktail (such as a umami mary, bellini, japaneze sangria or signature zuma martini) and are offered a choice of tiered off menus (Classic: $125, Signature: $175, and Premium: $395) for the ultimate mother’s day dining experience of your choice. Start off with a choice of spicy beef tenderloin, salmon teriyaki, Chilean seabass, spicy fried tofu, or go all out with Japanese wagyu, roasted lobster, or grilled vegetable donburi. Signature and premium entrees are paired with a traditional Japanese truffle hot pot served tableside. Exclusive menu items, premium buffet options and special cocktails will also be offered on Mother’s Day only. The only way to kick off Mother's Day brunch is with a delicious brunch. Swine Southern Table & Bar is a pork-themed, comfort food haven that mimics sister restaurant Yardbird's southern fare. The ultra-creamy jalapeño cheddar Shrimp & Grits broiled in smoked bacon broth are a dynamic duo! Other delectable eats include the Low & Slow Smoked Duroc Ribs that are slow cooked and marinated to perfection and served with homemade pickles and southern slaw. These competition rub ribs are a no-fail and no-fuss dish sure to have you licking your fingers.